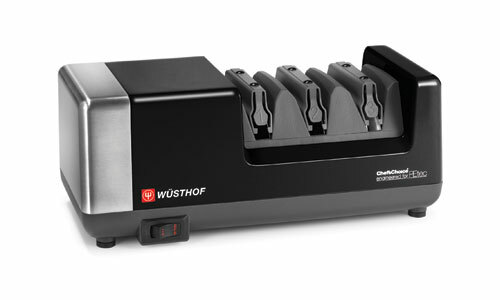 The Wusthof 3-stage Chef's Choice PEtec Electric Knife Sharpener is designed to sharpen, hone and polish straight and serrated edge blades. 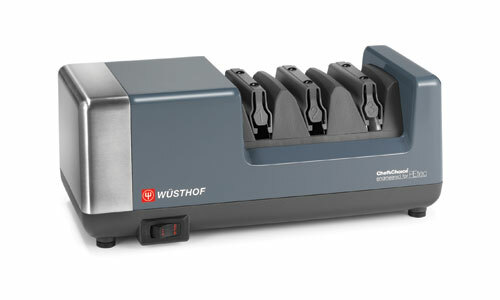 To keep these high-quality knives razor sharp, Wusthof has partnered with Chefs Choice to produce this Precision Edge Technology (PEtec) electric knife sharpener. Features 3 stages, including Stage 1 with a diamond abrasive wheel to create a new edge onto dull knife blades. 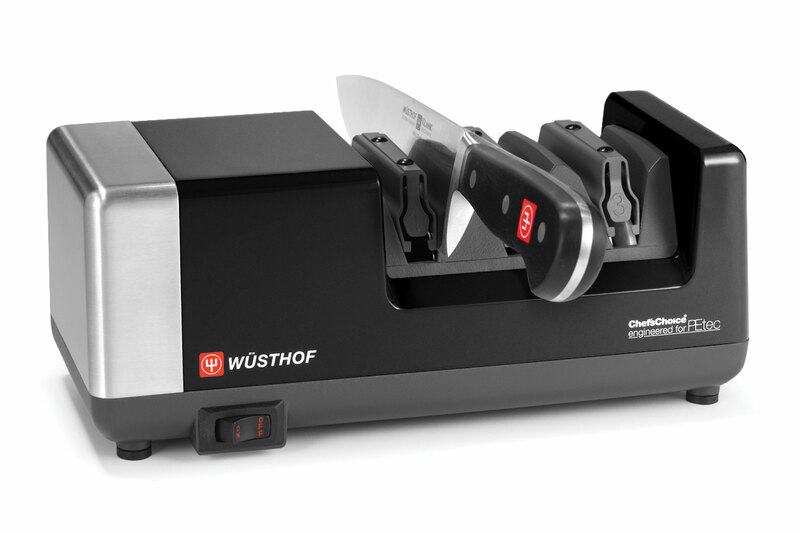 Stage 2 has a finer diamond grit wheel to hone and refine the knife edge. 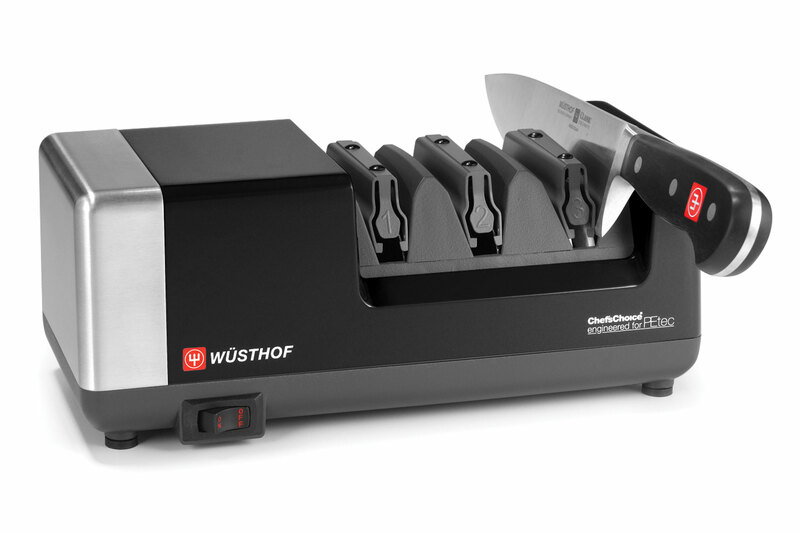 Finally, Stage 3 features an advanced stropping material that polishes the blade to a razor-sharp edge and will sharpen serrated knives. 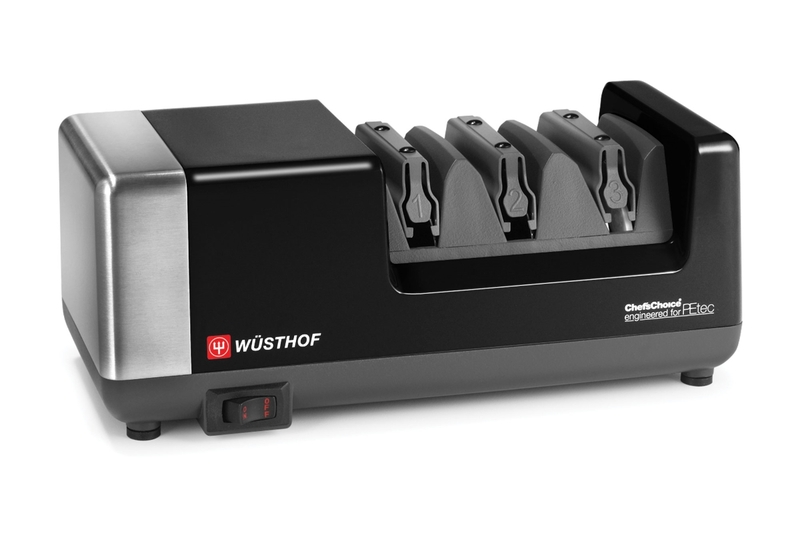 Not just for Wusthof knives, this sharpener will work with all western-styled knives, placing Wusthof's high-performance 14° edge. 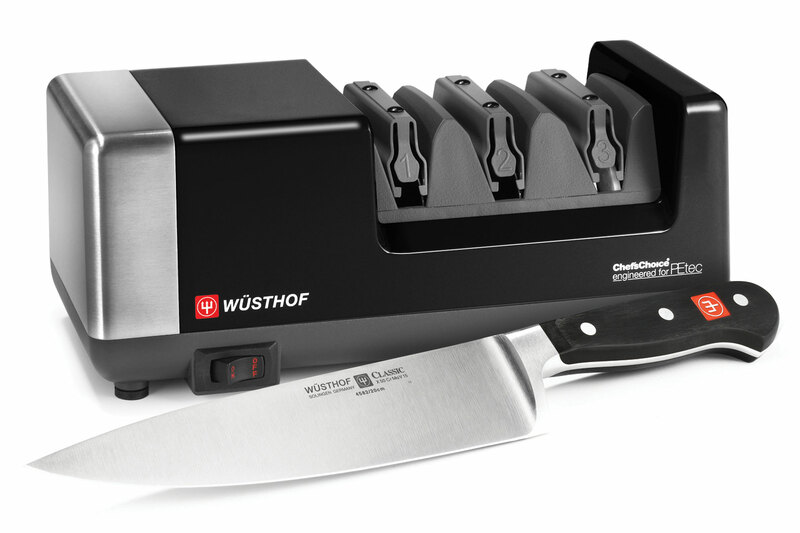 Wusthof is known worldwide for producing one of the finest German made kitchen knives since 1814. 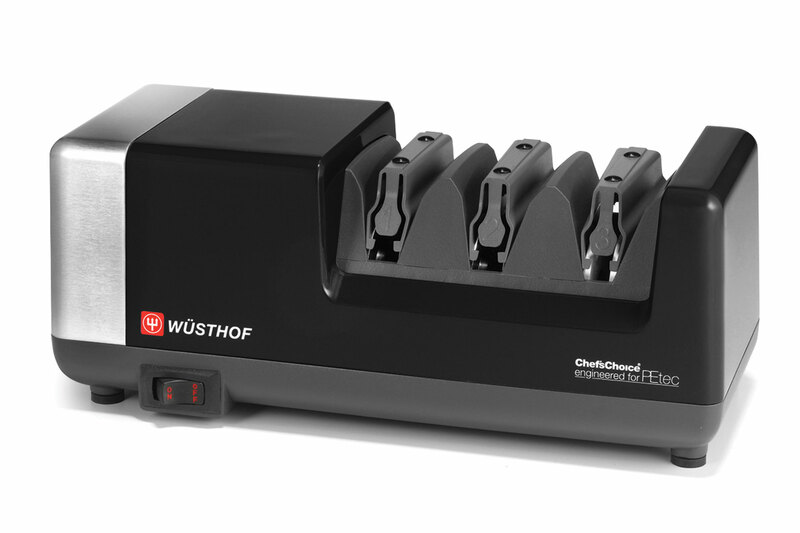 Made in USA by Chef's Choice.